We live in a world where things around us are changing with a lightning speed. Wearables and gadgets that we use every day are closely connected to each other. The integrated network of smart gadgets and sensors that communicate with each other, widely known as Internet of Things (IoT), is playing a major role in this radical shift to the smart era. "McKinsey Global Institute reports the IoT business will deliver $6.2 trillion of revenue by 2025." This change is not only limited to the consumer market. 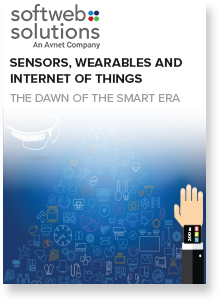 Enterprises have already started deploying sensors and smart devices connected to IoT. Download this whitepaper and learn more about it.